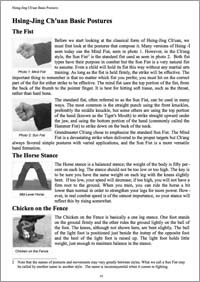 Two New Publications from Grandmaster Ma Foren! electronic book, or hard cover version. DVDs combine VIDEO and BOOK! Order both DVD's together here or order books and DVD's separately, below. The hard cover version is in a generous large format. 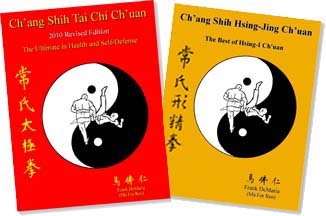 Ch'ang Shih Tai Chi is a modification of existing systems. Great Grandmaster Ch'ang Tung Sheng used his unlimited knowledge of Shuai Chiao to replace or change certain movements in the Yang Shih system emphasizing its combat purposes. Ch'ang Shih Tai Chi still retains all the other values of Tai Chi for good health and longevity. 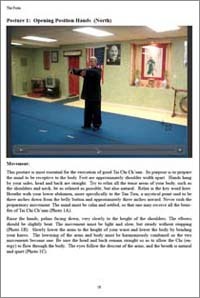 This book and video on the dvd will guide the reader from the first posture through the last of the Ch'ang style. In addition there are insights from Ch'ang's student, legendary Grandmaster Frank DeMaria, into the deeper meaning of Wu Chi, Liang I, Wu Hsing, Four Phenomena, the Manifestation of the Elements, and the Cycle of Transmigration of Life and Death, and more. NOTE: This 2010 edition has been fully revised, with all new pictures and articles. When you order the DVD you get the video and an electric book you can read or print out. You can also order as a separate item a hard cover book for those who like to add to their collection of books. The book section of Ch'ang Shih Tai Ch'uan explains each posture in detail. Videos show how the moves are performed correctly and how the movements can be applied to self-defense techniques. 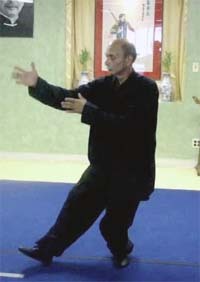 Grandmaster DeMaria explains Ch'ang Tung Sheng's version of the internal art of Hsing-I Ch'uan. Hsing-I teaches one how to use one's internal power to directly attack an opponent. Hsing-Jing is considered the essence of Hsing-I. NOTE: When you order this DVD you will get the video and an electronic book you can read or print out. You can also order as a separate item a hard cover book for those who like to add to their collection of books. This page from Ch'ang Shih Hsing-Jing Ch'uan explains some of the basic postures. 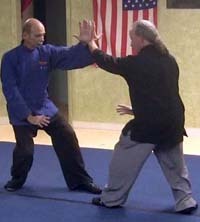 Grandmaster and Master Chris Peck demonstrate a two-person Hsing Jing form.